Glowing, radiant, hydrated skin is the best makeup you can wear. Beautiful skin looks youthful and timeless. Whether you naturally have dry skin or have dry skin during the winter, here are 5 ways to prevent dry, flaky skin. Exfoliate your skin once or twice every week to get rid of the dead skin cells. Using a gentle exfoliator that does not strip away the natural oils of the skin will keep your skin smooth and do not over-exfoliate as it can make your skin dry. Perhaps the most important step to your daily skincare regimen. Using a moisturizer to hydrate your skin twice a day can maintain moisture in your skin and prevent wrinkles.For acne prone skin, read my post on 10 ways to get acne free, clear skin- the secret to great skin . Choosing a cleanser that does not have harsh chemicals or drying ingredients can prevent dry skin. Stay away from acne fighting ingredients that dry out the skin and select a creamy or milky cleanser that claims to hydrate the skin. Treat your skin to deep hydration at least once a week. Use a hydrating mask, hydration serum or oil treatments to rejuvenate your skin. Hydrated skin starts from within. Eat a well balanced diet with plenty of water and get your beauty sleep. 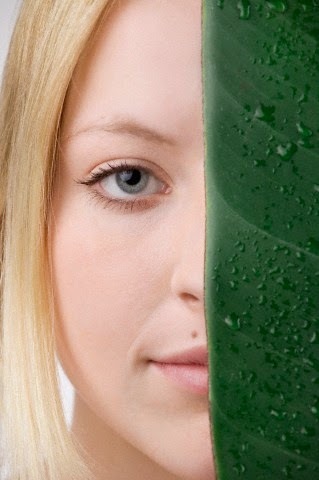 Not only will your skin be hydrated, the texture of your skin will transform also. To learn about how to use makeup to appear more awake and glowing, read 5 Ways To Look Radiant, Energized and More Awake With Makeup. Pollution, Sun’s harmful rays, winters or windy weather can wreak on our skin to make it dry. Due to lack of moisture in the skin, it becomes dehydrated, loses its flexibility and becomes cracked, scaly and even itchy sometimes.But for my skin I am using anti aging serum by Dermology from many years and it is all in one cream for me. Every girl wants to make her skin glowing and beautiful. Beautiful skin looks youthful and timeless. Whether you naturally have dry skin or have dry skin during the winter. Your suggestion helps to prevent dry, flaky skin.